I am a proponent of cardiac screening for young athletes. As a physical therapist and the mom of four I take a very personal interest in the safety of our young athletes. But when the screening comes back abnormal for one of your own it’s a shock. And when the screening comes back with an abnormality for a second child it can be incredibly overwhelming. Two years ago my daughter was found to have Wolfe-Parkinson-white (WPW) which is an electrical issue. She underwent cardiac ablation and now has no problems, no pain, no limitations, and a normal EKG. 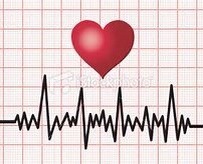 This year my youngest child was screened and found to also have an abnormal EKG. However further testing did not reveal WPW, instead it showed a completely unrelated heart condition. Ryan, who just turned 13, was diagnosed with a congenital heart defect. He was born with a bicuspid, instead of tricuspid, aortic valve and now, due to the constant increased pressure, has a dilated aortic root. This can be a very dangerous situation as it weakens the aorta and makes it vulnerable to tearing or trauma. The pediatric cardiologist explained the anatomy, explained the problem and then said “Ryan, do you like golf? You need to learn to like it!” What?!? He went on to say that the American Heart Association recommends that people with this diagnosis do not participate in any rigorous,”exertional”, and certainly no contact sports. But wait! This is the child that loves any and every sport. This is the child who is never still, always bouncing a ball or running around. This is the child we find rollerblading and shooting baskets in the driveway. No “exertional activity”? What does that mean? What can he do? Is there any treatment? To which the doctor replied “Nope, I’m sorry”. I have to be honest and say that I went from shocked, to overwhelmingly sad, to angry. I suppose those are normal stages of grief. I’m not trying to be melodramatic. I am just trying to process this information and figure out what it means to my child and everything that he enjoys doing. I am incredibly sick of people telling me “well, at least you know”. Of course knowing a diagnosis is better than the shock and grief of a child’s death. As someone in healthcare I’ve always been a proponent of the knowledge is power idea. But now it’s really hit me, that “power” has knocked me senseless. I wonder how often I’ve given people that kind of insensitive remark rather than acknowledging the enormity of the impact on every decision and activity they choose in life. Ryan asked the doctor a few questions…”Can I run?”, “just don’t overdo it”…”Can I play basketball?”, “only through the 8th grade”. We can avoid contact sports and leave out football and hockey. We can even stop having him participate in school athletics all together. But how do you tell a 13 year old active boy to ‘just don’t over do it’? What does that mean and how can he possibly interpret that? The downside of being in healthcare is I know all of the worst case scenarios. I know what an aortic dissection means. And as his mom that scares me spitless! But the upside of being in healthcare is I know that doctors are all just “practicing” and there are always going to be different opinions and advice. I also know that it is imperative that patients do their own research and advocate for themselves. So I’ve contacted medical friends and people I know with a history of heart problems. I’ve read about valve replacement and aortic supports. I researched the AMA guidelines and the most recent findings regarding aortic dilation. And I’ve made an appointment for a second opinion with a pediatric cardiac surgeon who deals with this diagnosis every day. But I have to admit my heart breaks a little every time I look at my healthy, athletic son with his six pack abs and his long, lanky, tanned body. He spent the last three days laying on the couch playing video games. He seems to be taking it all in stride, but he doesn’t want to swim or play basketball, or go for a walk. He has had no symptoms. And I think that is what makes this diagnosis the worst. There’s no warning, no symptoms until it’s very bad. The truth is he may have lived his entire life not knowing about the valve because he doesn’t even have the typical murmur. He just may have developed cardiac disease and valve stenosis in his 50’s or 60’s. As an advocate for children’s health and safety in sports, and as a proponent of EKG screenings I have to be honest and admit maybe ignorance was bliss. Previous Post RUN MOM RUN! Next Post To Push or Not to PUSH!